After a lot of rumors, finally, we are getting the news about what could be the probable specs of the upcoming Nokia smartphone running Android. A fresh new report comes from the tech website WinFuture.De where it has been reported that the device is codenamed as Nokia D1C and also they have put some of the specs based upon the benchmark. 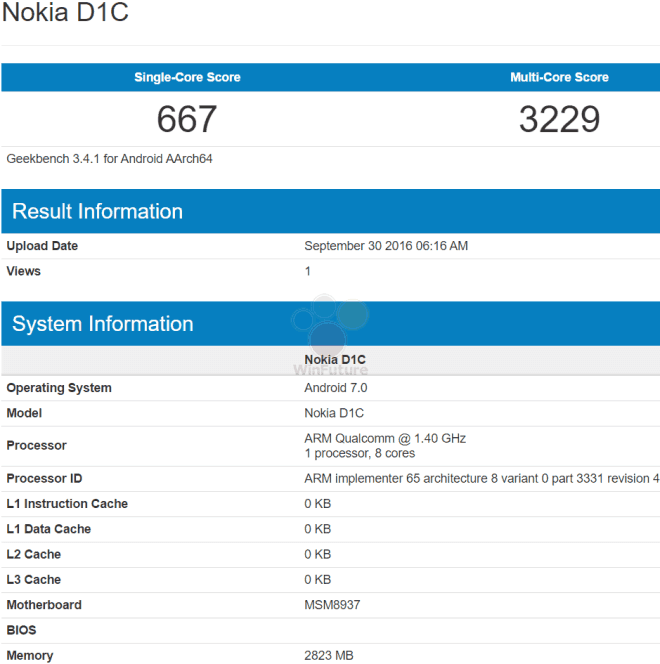 According to Geekbench, the Nokia D1C will be powered by the Snapdragon 430 octa-core processor coupled with 3GB of RAM. We had earlier heard about two new high-end smartphones from Nokia running Android but looks like Nokia will continue focussing in its budget phones. The Nokia D1C will also run Android 7.0 Nougat out of the box. 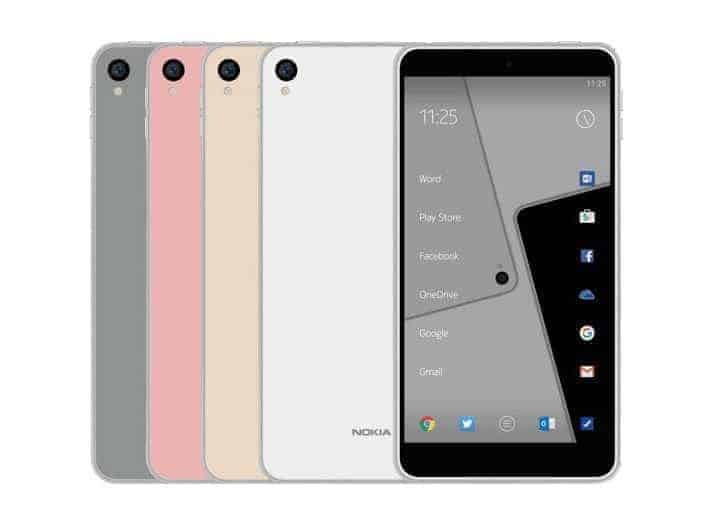 It is notable that the Nokia D1C will be the first smartphone built under the HMD global and Foxconn (FIH) partnership. However, there is no data available from Geekbench regarding the display, camera or anything else, but looks like the budget segment is still Nokia’s top priority. But as we know, there will be eight Cortex A-53 cores and the Snapdragon 430 is capable of full HD display support and 21MP camera along with full HD video recording, now all we can do is to wait till we get more details about the upcoming budget phone from Nokia. Also, it may support dual-SIM 4G LTE support, dual-band WiFi, Bluetooth 4.1 LE as the chipset officially supports these features. So, let’s see what the Nokia has got for us. Till then keep checking us for more news, leaks, updates, and leaks. Next articleMoto Z and Moto Z Play Launches In India Today: How To Watch The Live Stream?